Everyone–yes everyone–will have to navigate estate issues at some point. Whether it’s planning for how to manage your own assets, inheriting assets from loved ones, or having to deal with the confusion of intestacy laws (laws that regulate who gets property when there is no will) when a loved one dies without an estate plan, everyone will deal with this issue. Sadly, too many people don’t think about it soon enough. Studies have shown that that 61% of adults do not have a will, trust, or some other form of an estate plan. Don’t be one of those 61%. Call us today to see how we can help you protect your assets, your future, and your family’s security. 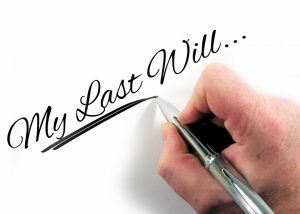 Wills – The fundamental estate planning tool. Whether you have a simple estate (e.g. house, car, simple personal belongings), or a more complex estate (e.g. business assets, multiple properties, investment income), a will should be part of your estate plan. Trusts – Not just for the wealthy, trusts are often the best option when planning for your estate. Trusts can offer a number of protections that wills cannot offer, and can help manage income for future generations. Estate Administration – If a loved one has passed away and you need help understanding or administering the estate, we are happy to help you. Not sure which one(s) of these options is right for you? Give us a call and we can help you decide.